TAKING CARE OF THE NECKS OF YOUR TEETH. You may have experienced this, too. Hungrily you bite into a crispy baguette with a delicious topping and enjoy this favorite food of the French. It may happen that the bread crust injures your gingiva so that it even bleeds and hurts a bit. These small oral wounds usually heal fast. It is much worse when your gingiva suddenly starts bleeding or hurting, with red spots showing, when there is no obvious reason. This usually means that bacterial plaque and calculus are already working on the necks of your teeth. The gingiva is infected and it recedes, your teeth become less stable, so they start becoming loose. If the jawbone has already become infected you may even lose a tooth. This is called periodontal disease and it is the main reason for the loss of theeth in adults. BUT DO YOU REALLY NEED TO LOSE ANY TEETH NOWADAYS? Not really, because maintaining the many small pieces of art in your oral cavity is a top priority for us as dental artists. During regular check-ups our dentists recognize the status of the disease of your gingiva very fast. There is a range of various dental treatment modalities to choose from. We will examine the status of your oral cavity thoroughly and discuss it with you in detail. Then we will determine a treatment plan to maintain your teeth together with you. However, it is important that you have a complete mouth-scaling at least twice a year done by our dental artists, so you will never experience more than the small, harmless bleeding of pain of your gingiva when you may have eaten just a bit too much of that favorite French bread or other crispy food. 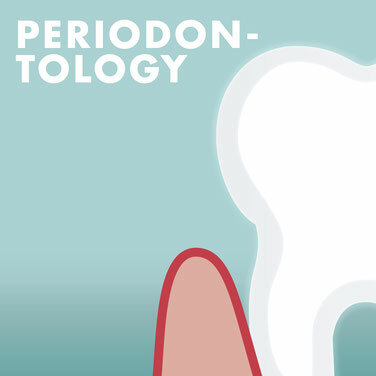 During a complete mouth-scaling, bacterial plaque is removed which will prevent a periodontal disease sustainably.